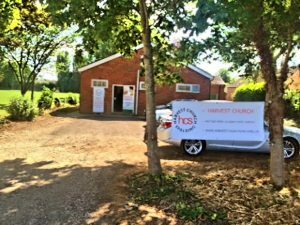 Harvest Church Spalding is an independent group of Christians from multiple backgrounds, cultures and denominations. We collect information about you when you register with us or place an order for products or services. We also collect information when you voluntarily complete surveys, provide feedback and communicate. Website usage information is collected using cookies. We collect information about you to process your email, manage your account and, if you agree, to communicate with you about other events and activities we think may be of interest to you. We use your information collected from the website to personalise your repeat visits to our website. HCS will not share your information for marketing purposes with companies outside the church. Your information we use for marketing purposes will be kept with us until you notify us that you no longer wish to receive this information. We would like to send you information about events and services of ours and other information which may be of interest to you. If you have consented to receive marketing, you may opt out at a later date. You have a right at any time to stop us from contacting you for marketing purposes. If you no longer wish to be contacted for marketing purposes, please let us know. You have the right to request a copy of the information that we hold about you. If you would like a copy of some or all of your personal information, please email or write to us at our registered address. We may make a small charge for this service. We want to make sure that your personal information is accurate and up to date. You may ask us to correct or remove information you think is inaccurate. We are committed to ensuring that your information is secure. In order to prevent unauthorised access or disclosure, we have put in place suitable physical, electronic and managerial procedures to safeguard and secure the information we collect.